Dragoons are essential in your army if you are going to game any historical scenarios - they played a very important part at Marston Moor and Naseby. Then I have six stands of three horses with a horseholder, these are on 40mm x 40mm bases. This gives a unit of eighteen men. I have to say that I am not happy with my dragoon organisation, as there is no command stand. Unfortunately Peter Pig don't currently make dragoon command packs. However, they do allow you to place custom orders of specific figures (thanks to Nigel in the workshop). 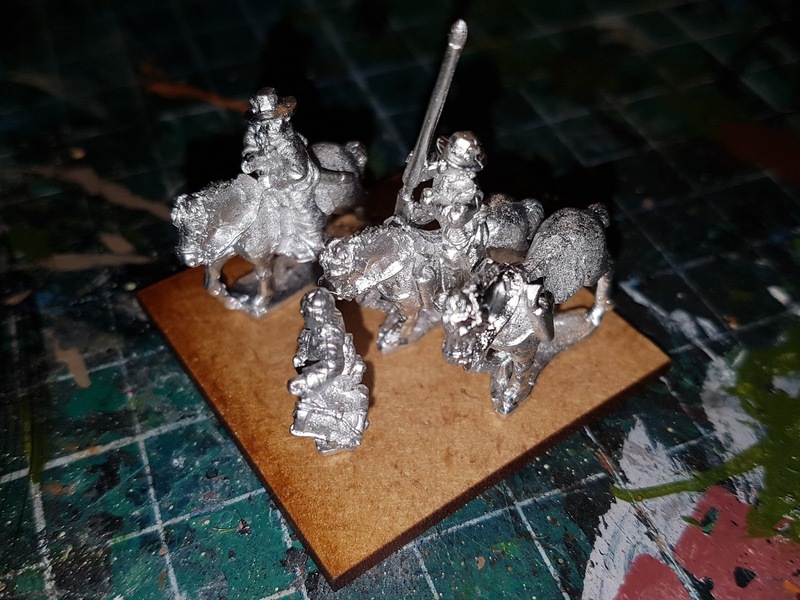 At the moment I am going for a 40mm x 40mm base, with a standing horse with a hat wearing standard bearer, an empty horse from the dragoon horseholder pack with a standing drummer, and a mounted dragoon on a standing horse to represent the officer. the standard bearer is possibly the weak link here as he has been sculpted wearing breast and back plates. Whether I can solve this by some careful use of a needle file or whether I resort to a paint conversion and hope everyone is as myopic as I am: we shall see. Next problem to solve is flags. Standard bearers look a bit silly with flag poles but not flags. Some interpretation might be required as very few dragoon standards survive. There are some descriptions of flags that we can best guess which unit they belonged to; watch this space!